Item number 1613/1 from the MOA: University of British Columbia. 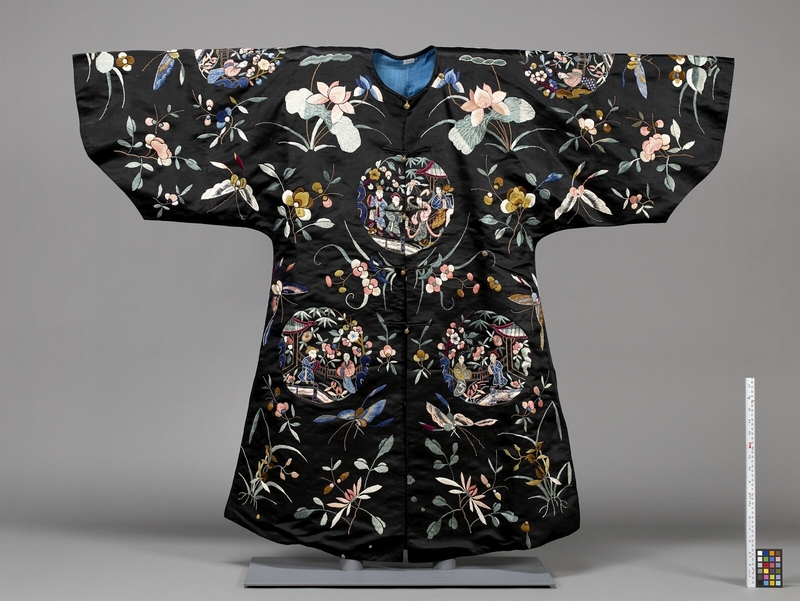 Black robe with wide sleeves, centre opening with frog closures and rounded neck. 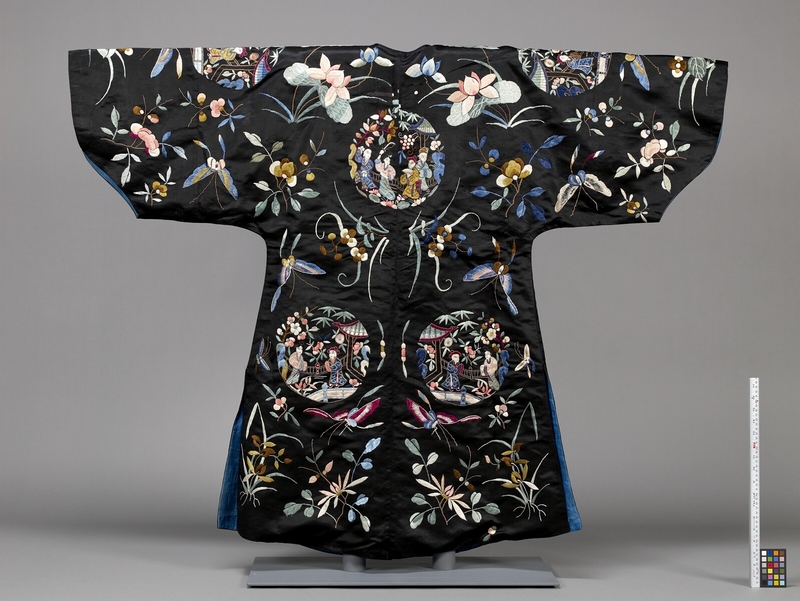 On the front and back are butterfly, lotus, orchid and floral motifs and roundels with figures in a garden in pink, purple, white, blue and green on a black ground. The end of the sleeves are cut in a wave-like shape. The inside lining is turquoise silk.